Local Address: G-211, Parliament Lodges, Islamabad. Permanent Address: i. Jamia Islamia Shah Waliullah, Kalat, Balochistan. ii. Jamia Masjid, Postal Colony, Quetta. Maulana Abdul Ghafoor Haideri was born on June 1957 to an eminent tribal personality, Muhammad Azam Lehri, of sub tehsil Gazag district Qalaat. He got his early education in his village but later on he received his religious education at different religious institutions of Balochistan, Sindh and Punjab. He completed his religious education in 1979 from Tando Allayar and thus passed various examinations from the Examination Board of Wafaq-ul-Madaris Al-Arabia with outstanding marks. In 1974 he vehemently participated in the Tehrik-e-Khatm-e-Nabowat (Movement for the Finality of Prophethood) and was consequently detained. Similarly in 1977 he took active part in Tehrik-e-Nizam-e-Mustafa, spearheaded by Maulana Mufti Mehmood and was detained again. He remained in Quetta jail till late Zulfiqar Ali was arrested. 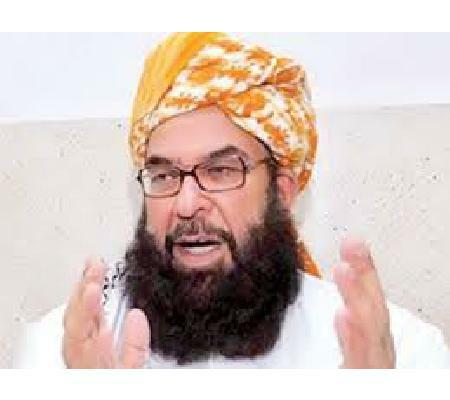 In 1981 he formally launched his political career from the platform of JUI and at the same time remained engaged as a teacher at different religious seminaries (Madaris). In 1983 he was for the first time elected as General Secretary JUI Quetta district. During this period the Movement for the Restoration of Democracy (MRD) was also launched. JUI was part of the MRD when the latter announced Jail Bharo Tehrik (Fill the prisons) against the dictatorship of Zia-ul-Haq. Submitting to the decision of his leaders he was the first who got himself arrested at Manan square Quetta on 14th August 1983. When he was presented in the Military Court on 24th August he refused to record his statement on the plea that if he accepted the Military Courts he would not have presented himself for arrest. As a penalty the court awarded him one year rigorous imprisonment and ten lashes and was transferred to Sibi jail. Thus his participation in different movements resulted in his detention thrice but he remained resolute. After he was released from jail in a dignified manner, he laid the foundation of Jamia Shah Wali Ullah in Qalaat on 10th October 1984. He served as a teacher in Madrasa Jamia Shah Wali Ullah from 1985 to 1990. On 13th October 1990 he was, for the first time, elected MPA to Balochistan Assembly and became a senior minister in the government of Balochistan. In 1992, after developing differences with the chief minister, JUI left the government and joined the opposition who nominated him as the candidate for Chief Minister but could not become Chief Minister due to the difference of one vote. In 1993 he was elected as member National Assembly from Qalaat with a huge margin. In 1995 he was elected as central secretary general of JUI Pakistan and since then has been appointed on the same position for five consecutive terms and still carries the same position. In 1995 he addressed the UN General Assembly and raised his voice against Israeli atrocities on the Palestinian Muslims. In 2001 the JUI strongly opposed Pervez Musharaf's decision to side with US without taking the nation into confidence in the wake of US and NATO adventurism against Afghanistan. To mobilize a national movement against the said war across the length and breadth of the country he visited the entire country several times and was eventually arrested under seven cases of mutiny. He was released after serving a term of five months in Quetta jail. In 2002, he was again elected as member of the National Assembly and worked in the Parliament for the preservation of religious values. From 2008 onward he has been a regular member of the Senate of Pakistan. During this period he remained Chief Whip (Coalition government) and leader of the opposition in Senate for two years. In 2013, he was appointed Minister of State for Postal Services PML-N government and took marvelous measures for the revival of the Postal Department. On 12th March 2015 he was elected as Deputy Chairman of immensly important institution, the Senate of Pakistan, heavy mandate. Maulana Abdul Ghafoor Haideri in his 35 years of political struggle was several times detained and even went through physical punishment in the form of lashes in return for his efforts to preserve Islamic values. On the other hand, he also worked as an MPA, MNA, Senator, Minister and Leader of the Opposition in senate. From the platform of JUI he worked side by side with his beloved leader Hazrat Maulana Fazal Rehman in his struggle against oppression, undemocratic and unconstitutional governments and dictatorships. He always remained vocal for the downtrodden and opposed every violation of human rights. Today the political and religious circles expect a lot from him as the Deputy Chairman of Senate of Pakistan. As usual he would work for the preservation of religious values, protection of the constitution and consolidation of democracy.